The discovery of 9.7-million-year-old teeth has puzzled German scientists, as the teeth reportedly belong to a species which only lived in Africa millions of years later, reports said. 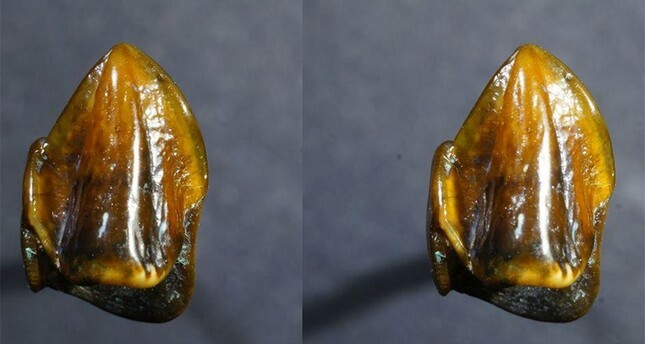 The teeth were discovered in the Rhine river while scientists were sifting through sand and the Museum of Natural History in Mainz made the announcement Wednesday. Although scientists said the teeth resemble those belonging to the 3 million-year-old skeleton Lucy (Australopithecus afarensis), they noted that the dental remains do not resemble findings of any other species in Europe or Asia. A team of experts will conduct further research on the teeth, reports said. The Mayor of Mainz Michael Ebling suggested that the discovery would force scientists to reconsider the history of early mankind, DW reported. "I don't want to over-dramatize it, but I would hypothesize that we shall have to start rewriting the history of mankind after today," Ebling said. The teeth will be available on display for visitors at Mainz's Natural History Museum. Scientists believe modern humans evolved out of east Africa around 400,000 and 200,000 years ago.